Here's something ultra-nerdy but incredibly fun: you can hack your Kindle to work as a display for a tiny portable computer like the Raspberry Pi. 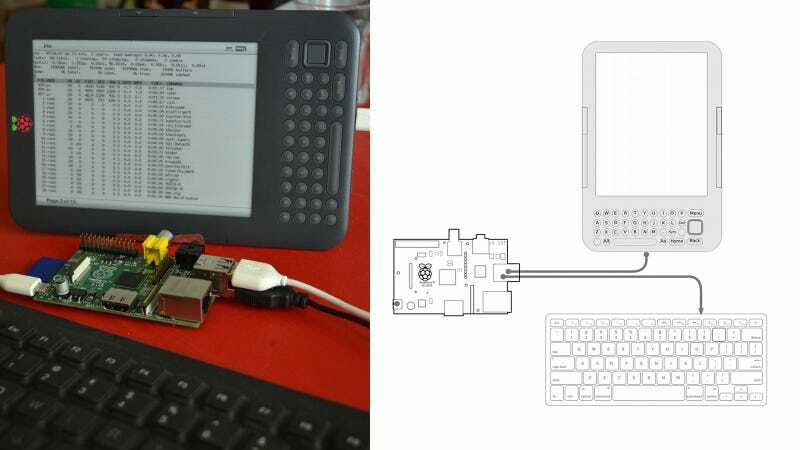 The plan was, using a Kindle as a screen, connecting it to the processing power of the Raspberry Pi while using an external keyboard to work comfortably. Since connecting an external keyboard to the Kindle seemed impossible at that point, I needed to use the Raspberry Pi as the ‘hub'. The tinkering started and the KindleBerry Pi was soon to be born.